Located in the South Indian state of Karnataka, Coorg is one of the most breathtaking travel destinations in India. It has a number of beautiful attractions that draw the travellers from all parts of the globe. If you are too bored with the city life and need to renew your energies and tired soul, Coorg, a top-rated holiday destination in India, is just the best place for you. However, one thing that certainly needs your attention when you plan your trip is the right hotel. 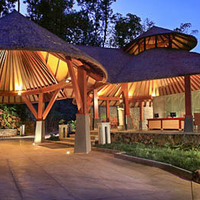 If luxury is what you want to indulge in and budget is not a problem, you must book 5-star hotels in Coorg. You can easily book one of the best 5-star hotels by searching online at Cleartrip. You will simply love coming back to your plush hotel room after a hectic day of exploring this beautiful hill town. It has a number of attractions, such as vintage churches, high and undefeated waterfalls as well as old beautiful temples and gothic-style architecture for you to behold and admire. To make the most of your vacation, trust Cleartrip for online hotel booking. 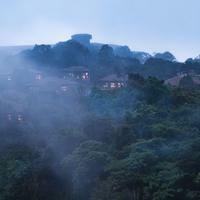 What makes the hotels stay in Coorg even more exciting? Talking of the facilities that you will get at any of the top-rated 5-star hotels in Coorg, the very first thing that comes to mind is excellent food and ultimate comfort offered by such accommodations. These hotels have restaurants where you can avail lip-smacking breakfast, lunch, and dinners. Coorg hotels have televisions; mini bars as well as air conditioners in every room. You will surely love the hotel interiors as well as room dcor that exude warmth and magnificence. Do not forget to have the yummy snacks that are stacked in the fridge to satisfy hunger pangs at the midnight. There is no dearth of recreation options either. You can enjoy a relaxing spa, simply go for a dip in the swimming pool or hit the gym for some workout. The massages here are absolutely relaxing and will release all your stress. These hotels also offer laundry services, 24-hour room service, housekeeping, concierge services, and a doctor on call. Every 5-star hotel also provides car services to make sightseeing a pleasant experience for its guests. They may also arrange a guide or help you book some interesting experiences and day-tours. In fact, they provide you not just with the mode of transport but also help you to plan your day. You can book one of the best 5-star hotels in Coorg in just a few clicks. We have some of the top Coorg hotels listed according to their ratings and amenities. Do check the room types offered before booking as these hotels have individual rooms as well as suites for you to choose from. Use the search filter on our website by specifying the star rating, locality and amenities to see hotels of your choice. You can now easily book a hotel based on the amenities and services listed clearly on Cleartrip. The images will give you an even better idea of what to expect. Some of the best 5 Star Hotels in Coorg are The Tamara Coorg , Purple Palms Resorts and Spa Coorg , The Tamara Coorg and many more. When you book via Cleartrip, you can avail exciting discounts and cash back offers. You can pay in advance or choose the Pay@Hotel option. Book only after checking all the hotel details and reviews. Online booking for 5 star hotels at Coorg has never been this easy!